Pink Dot has celebrated its 10 iteration of the lesbian, gay, bisexual, transgender and queer (LGBTQ) community in Singapore with a tagline “We Are Ready”. According to its press release, the new tagline was set as a “clarion call for inclusion, diversity and equality”. This year Pink Dot saw 113 local sponsors following the “Red Dot for Pink Dot” initiative. Some of the local sponsors include ad agencies, Formul8, Goodstuph, JS PR and eateries The Daily Cut, OverEasy and The Black Swan, along with many others. This is despite the government barring foreign brands and sponsors from supporting the event in 2016. Marketing has contacted Pink Dot SG organisers for comment. Most recently, organisers of LGBTQ-affirming event launched several festivities and activities leading up to its flagship event in a bid to garner more active community participation. This saw the creation of PinkFest, which features nearly a dozen businesses, groups and individuals organising a myriad of privately-run activities and events geared towards greater engagement with Singaporeans. 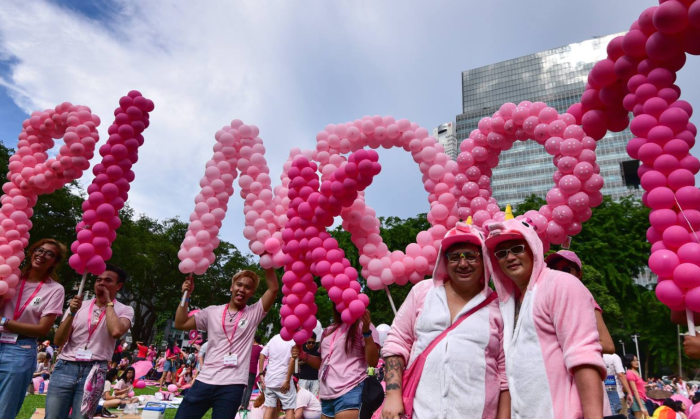 Last year, despite the controversy surrounding the event, Hong Lim Park was painted in a sea of pink over the weekend in light of the Pink Dot 2017 event, which saw around 20,000 participants. The event also drew in 120 local sponsors, a staggering increase compared to the five local sponsors from the year before. The event also caused a stir after a Pink Dot 2017 ad placement was found in Cathay Cineleisure, sparking police reports from netizens. This led to the Advertising Standards Authority of Singapore (ASAS) weighing in on the matter, asking for the statement “Supporting the freedom to love” to be amended. The move led to Cathay and Pink Dot SG later giving their response to the matter and later on also led to ASAS issuing a statement explaining how its stance was made. The undisclosed sum of investment from the two companies will fuel Pure Group's growth in Asia. ..
By offering HKD$10 off first taxi ride using AlipayHK, the payment platform is investing in more marketing campaigns in the Hong K.. The iconic Abercrombie & Fitch logo will not be splashed across its products. Here's why. ..
Chris Chiu on rejoining Leo Burnett after three years and the future of Ren Partnership. ..